Clay is red. Small box with eight concave edges for secure grip. On the upside, wide circular opening, which may have been shut with a lid. On the edge of one side stand two spouts to accommodate the pen. White slip and transparent colorless glaze covers the surface. Polychrome painted decoration. Floral themes with black outlines: the upper surface of the ink bottle is adorned with eight trifoliate flowers of blue and yellow alternately, and on the sides are polypetala flowers and green leaves. 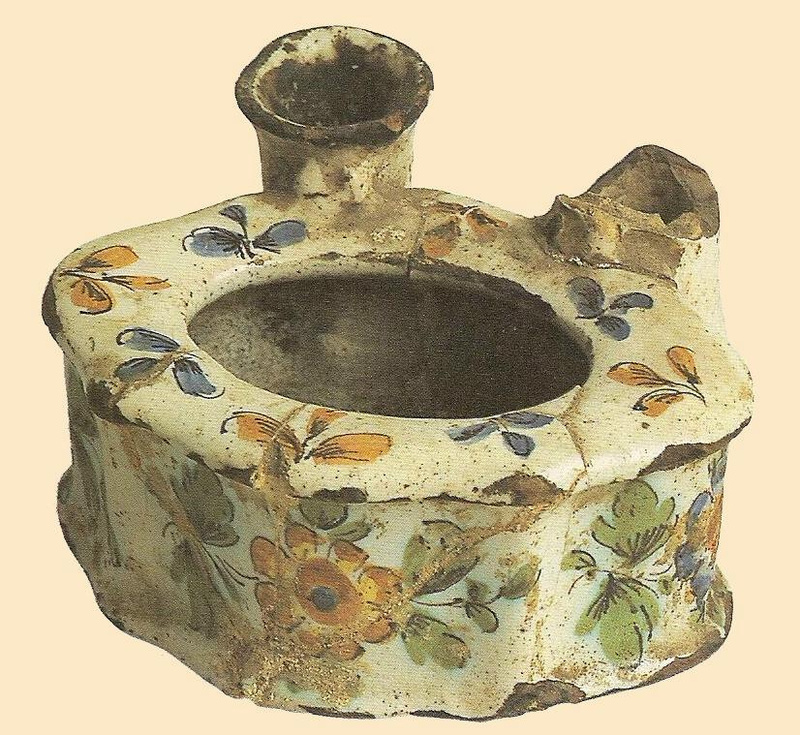 The inkpot is regarded as the inkpot of St. Nikodemos the Hagiorite (1749-1809), eminent monk and prolific author of theological works. He went to Mount Athos in 1775, where he resided and wrote until his death.